We live in the country surrounded by fields and often see horse and hounds riding past. Despite all our protests the hounds always come onto our land. 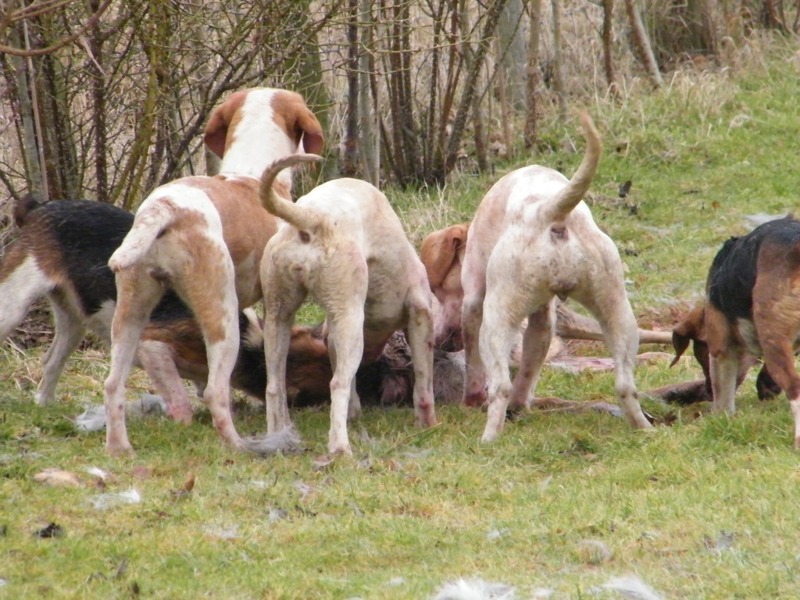 Today at lunchtime we heard the sound of dogs and went out to see a horrendous sight. 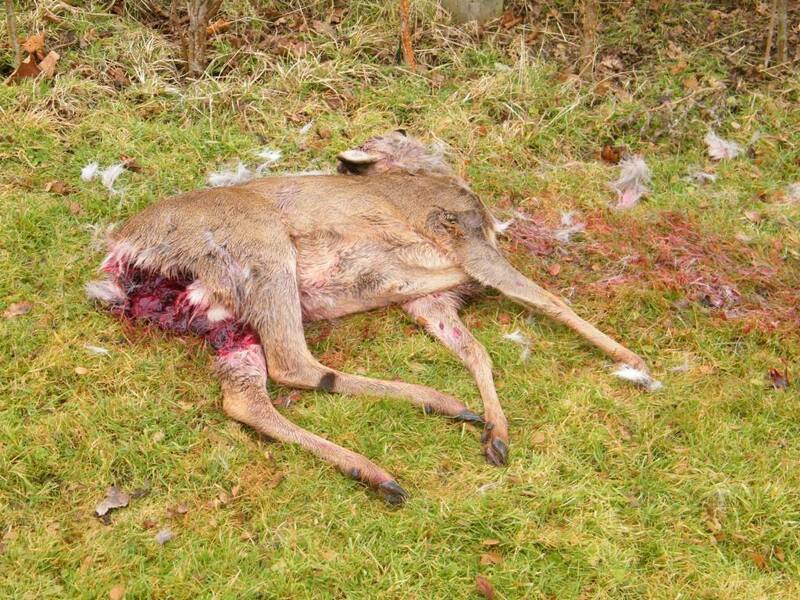 There were a pack of some 10-15 beagles that had caught a small deer on our land. They were ripping it to pieces in front of us. The scene of a struggling deer and a pack of dogs is one i never want to see again – all we could do was take pictures as a record. 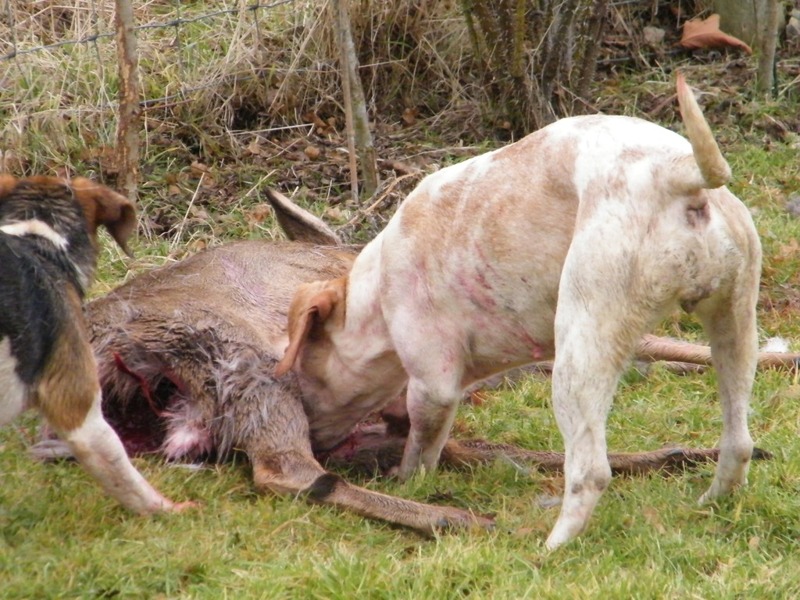 After 5 mins we heard the sound of a horn and the dogs responded and left the deer still just alive – it thankfully died a few mins later as we have no gun and no way of putting it out of its misery. The huntsman finally appeared in the next field and we remonstrated with him. He said -of course it shouldn’t happen, it had never happened before – they were on foot after rabbits. The incident has been reported to Gloucestershire Police, and we have an incident number. Here are the photographs she sent to us. Another ‘accident’, or another example of hunters shamelessly sticking two fingers up at the law and the decent majority? You decide. The League Against Cruel Sports celebrates its 86th birthday this month. 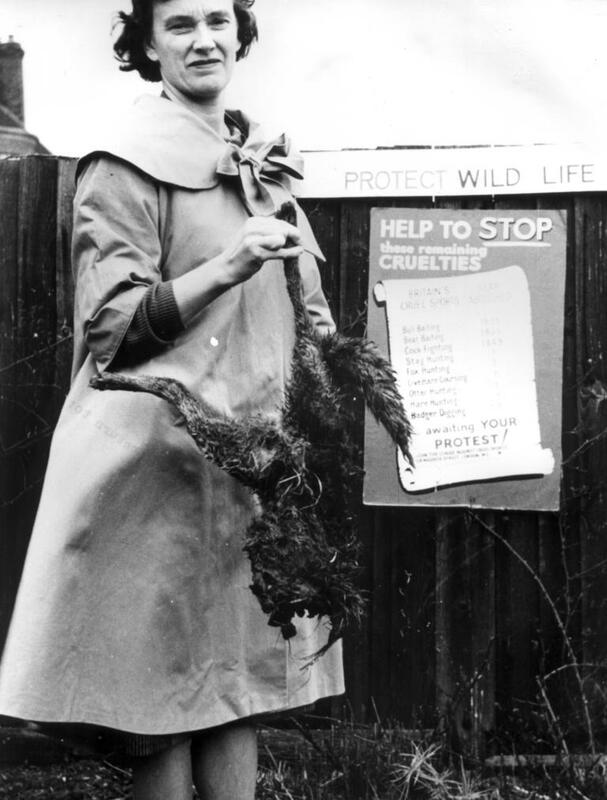 This image, we think from the 1950s or early 1960s, shows a League supporter with the carcass of a dead fox killed by the hunt. The poster next to which she is standing includes a list of activities the League wanted to see illegal. It’s very satisfying to know that they are all now illegal. Our Keep Cruelty History campaign is vital to ensure that we don’t turn the clock back to the horrific cruelties of yesteryear.